hi, can you help pls, im new here, ( i can make websites) but , lol, i don't know how to upload my photos on here, whatever i type in the search box comes with nothing relevant, very sorry, im missing something, i guess. Still can’t decide which one I should buy! I like Hermes, but Prada looks beautiful as well. And there are many more shinning watches. Cartier, Rolex etc. Too many things I want to buy. If you were me, which one do you want best? Oh, yes, the store is the biggest online luxury store. You can find about all brands you knew. Are you the CW GTI I see all the time parked at that ice cream place near Sunnybrook? you are always busy with work lol! im busy working too but havent owned a mk5 for almost a year now. got a bagged passat wagon. hopefully moving in less than a year to texas but other then that just working alot also. hows the married life? kiiiiiiiiiiiiiim!!! how you been grl!? 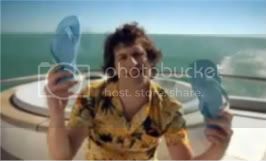 "I got my flippy floppies" !!!!!!!!!!!!!!!!!!!!!!!!! "Daewoo Lanos Mutha'ucka"